October 2017 – Dr. Mary Jo (MJ) Hall (Class of 1969), was awarded the Alumni Service Award during HPU’s Homecoming Weekend (Oct. 6-8). Hall graduated from HPU with a bachelor’s degree (ABT), and also earned a MEd from the University of Maryland College Park, an MBA from Long Island University, as well as a doctoral degree in educational leadership from George Mason University. Hall, a skilled WorkLearn strategist and performance coach, has served as the co-director and content manager for the ATD Forum (Association for Talent Development), since 2007 and has vast career experiences including working for the United States Military Academy, school teacher overseas as part of the Department of Defense, keynote speaker and author. 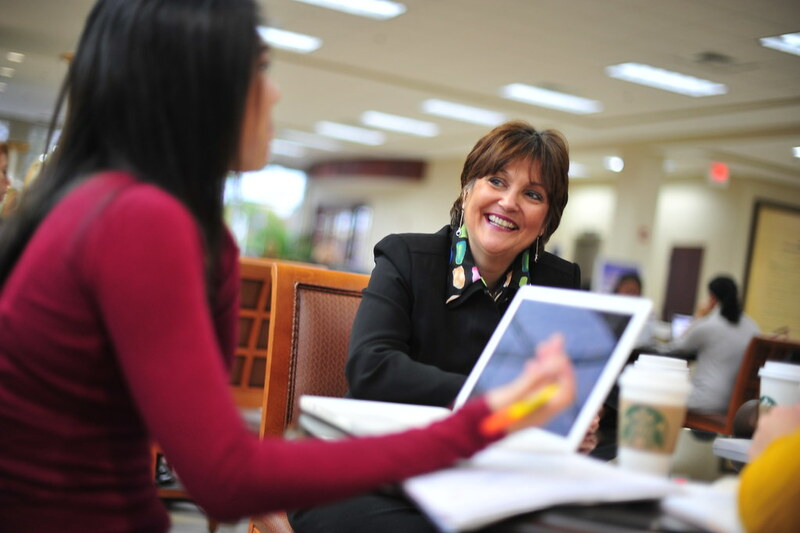 Hall’s volunteer work includes working with doctoral students at HPU, serving on the Editorial Board for the Journal of Organizational and Educational Leadership at Gardner-Webb University, and contributing to service projects as part of the Daughters of the American Revolution. 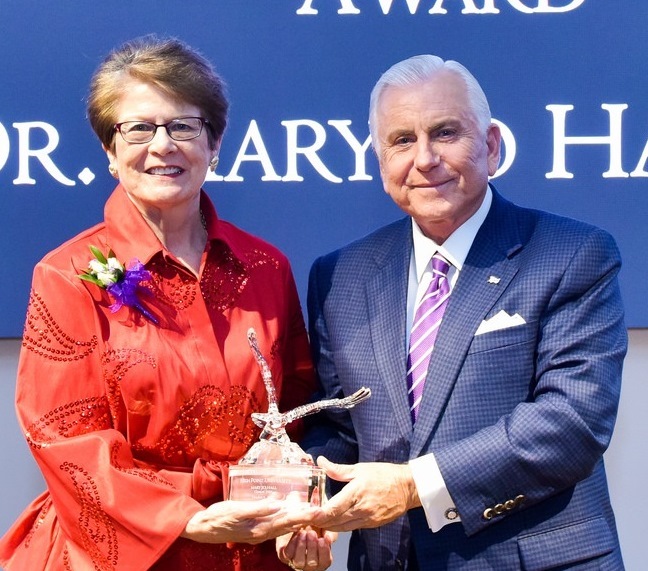 Her dedication to success has earned her many accolades; Hall is the recipient of service and achievement awards from the Department of Defense, the United States Army, the Office of the President and more. July 2017 – Dr. Emily Lipe (Class of 2016) was named interim superintendent of the Davidson County Schools on July 25, 2017. Prior to this appointment, Dr. Lipe most recently served Davidson County Schools as Assistant Superintendent for Curriculum and Instruction. Dr. Lipe was a member of our first doctoral cohort and graduated in 2016. Ms. Melissa Wagner for being named the Rookie Teacher of the Year at Montlieu Academy of Technology in Guilford County Schools. Ms. Wagner is a 2nd grade teacher at Montlieu Academy. 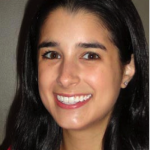 Melissa completed her BA in Elementary Education from the School of Education in 2014 and also received her M.Ed. in Elementary Education from the School of Education in 2015. Ms. Abigail Chase, 2008 Elementary Major and 2015 M.Ed. Elementary Education Graduate from the School of Education, was recognized as the 2016 Teacher of the Year for Pickett Elementary School in Lexington City Schools. Abigail is a 2nd grade teacher at Pickett Elementary. School of Education 2015 Elementary Education Major, Alexandra (Lexi) Valentinas was recently announced as the 2016 Beginning Teacher of the Year at Ramseur Elementary in Randolph County Schools. Lexi teaches 1st grade at Ramseur Elementary. Congratulations to all these former students! Meredith Hylton was awarded the 2015-2016 Churchland Elementary School Teacher of the Year. 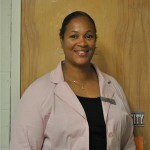 Ms. Hylton is a 2nd grade teacher at Churchland Elementary which is located in the Lexington City School district. Meredith received her M.Ed. 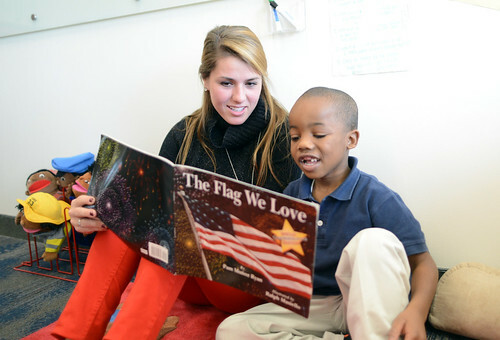 in Elementary Education from High Point University School of Education in 2012. February 2016 – Jay D. Simpson was recently named 2016 Teacher of the Year at Northern High School which is located in Guilford County. Mr. Simpson earned his BA Degree in History with licensure in Secondary History/Social Studies from High Point University in 2007. 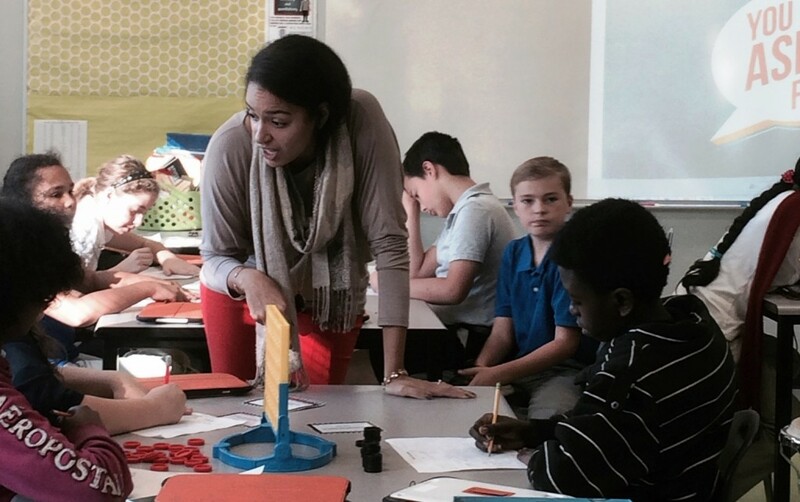 September 21, 2015 – The Lexington Dispatch recently published an article “The Cure for Teacher Turnover: Pay Students to Come Home” featuring High Point University School of Education graduate, Caroline Stalvey. Caroline graduated with her Elementary Education degree in 2014. She is quoted in the article stating ““I was hoping to come back anyway,” Stalvey, a second-grade teacher at Reeds Elementary School, Lexington, NC, said this week. “I’ve lived here all my life. I couldn’t imagine teaching anywhere else.” Click here to read the entire article. 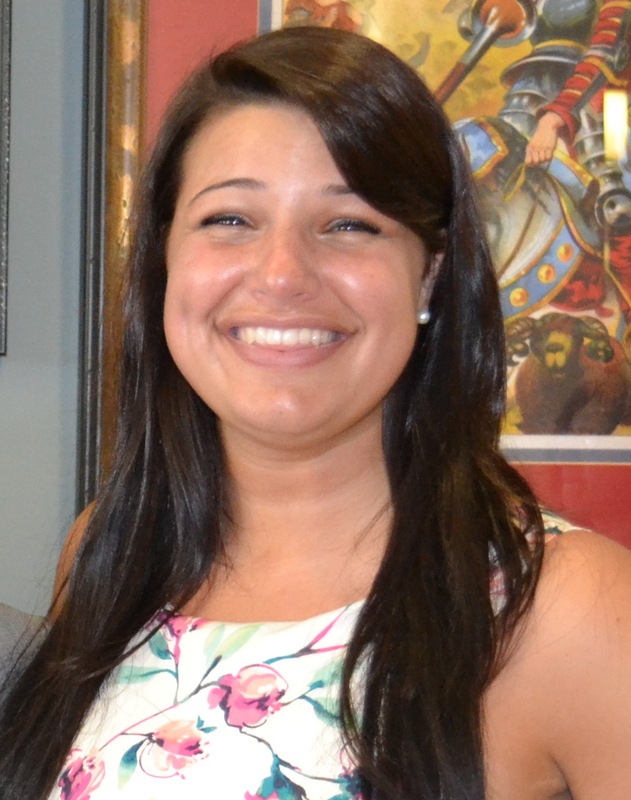 Rachel received her undergraduate degree in May 2012 and is currently enrolled at HPU pursuing her masters degree. She is currently a middle grades teacher at Southeast Middle School in Salisbury, NC but will begin teaching at Centennial Campus Magnet School in Raleigh, NC this fall. To view the full article and entire list of 2015 Emerging Leaders, please click the links below. 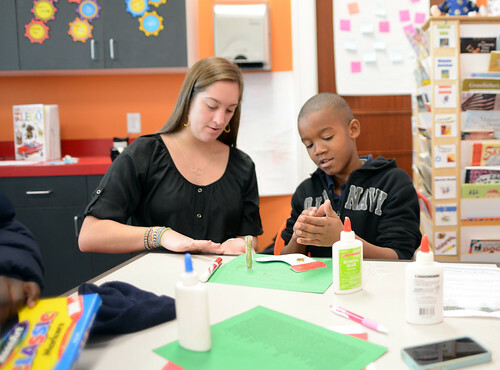 Rachel Sniff, a 2012 HPU graduate in Math/Science Middle Grades Education, has been selected to serve as one of 40 Kenan Fellows for 2014. More than 120 K-12 teachers from seventy-five North Carolina school districts applied for the Fellowship program in 2013-2014. The Keenan Fellows Program is offered through the Kenan Institute of Engineering, Technology & Science at NC State University. The program provides opportunities for development and advancement inspiring educators to drive innovation in North Carolina public schools. Sniff will participate in a year-long fellowship that will include significant research on the global education climate and STEM trends, the development of a STEM based unit that will be shared with fellow educators on Learn NC in May 2015, hosting a professional blog through Lenovo, education journal contributions, involvement in professional development institutes through NCCAT and NC State University, as well as opportunities and involvement with the NC Science, Math, and Technology Center, World Economic Forum, and presentations at state/national conferences related to solutions and trends in education around the world. The 40 Kenan Fellows chosen from across the state will partner with other educators, as well as university and industry leaders to develop innovative instructional resources that will “enliven public education in North Carolina.” (Elaine Franklin, Kenan Fellows Program.) The particular fellowship Sniff was chosen for is Partnering to Enable Innovative Teaching Practices. A five-week externship will allow her to learn from and work alongside Sam Morris, the Worldwide Education Executive at Lenovo. Lenovo is a PC company committed to global and innovation educational practices. Sniff is currently teaching 7th grade Science at Southeast Middle School in the Rowan-Salisbury School District. 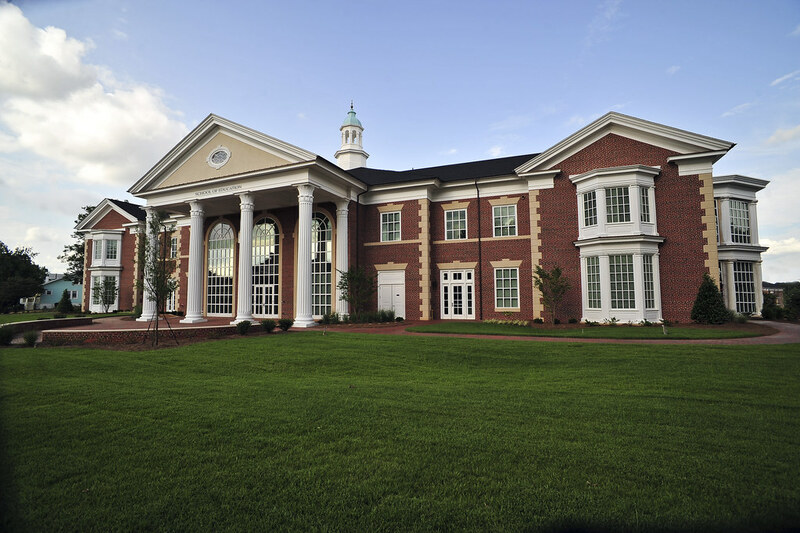 She is enrolled in the Masters of Educational Leadership Program at HPU. She is also currently involved with the inclusion of the Math and Science Partnership Grant, as well as involvement in the RSSS curriculum development team. Leni Fragakis, M.Ed. 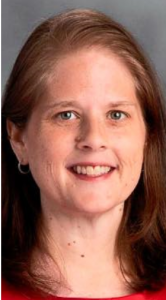 K-6 (literacy concentration) graduate, collaborated with Dr. Debbie Linville over the past 17 months to develop a literacy-based instructional unit that has been published by “the” premiere literacy organization (International Reading Association). This instructional unit is part of a new line entitled Bridges – bridging research and practice for high engagement and rich student learning. Miss Fragakis and Dr. Linville have been invited to present the product at the IRA conference in New Orleans in May 2014. 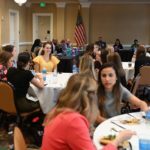 High Point University School of Education graduate students, Catherine Hadley and Katie Ethridge, were recently featured STEM News, a newsletter for STEM teachers across the nation. Both of the students are in the 5th year M.Ed. 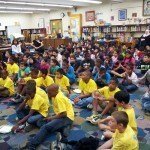 in Elementary Education (K-6) with a focus on STEM education. The students were asked to comment on the need for STEM education at the early learning levels. 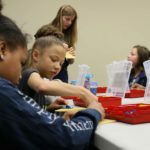 Highlights from their writing indicate that they see a focus on the tested subjects of reading and math to the detriment of students as they fail to see important connections that carry over into perceptions about science and science related careers. Teachers in the STEM focused concentration gain the knowledge and expertise to provide their students with real world connections and meaningful and engaging lessons that include engineering challenges, use of probe wear, and basic computer programming with simple iPad apps. April Thompson, a Reidsville High assistant principal, was chosen as the 2014 Rockingham County Schools Assistant Principal of the Year. 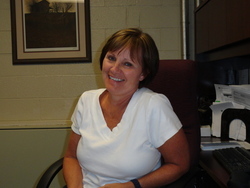 Thompson has been an assistant principal at Reidsville High since 2012. Thompson has 9 years in education and has served as a GEAR UP coordinator and an assistant principal in Asheboro City Schools. 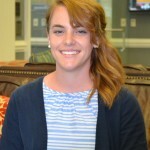 Thompson received her Bachelors in Physical Education from Greensboro College, a Masters in Human Resource Development from Clemson University and a Master of School Administration from High Point University. 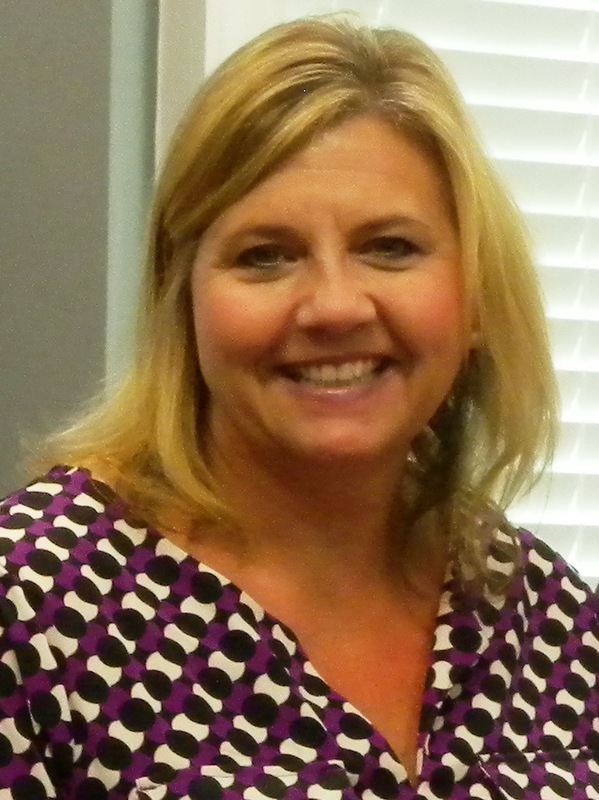 The School of Education is pleased to announce that Ms. Gina Spencer, principal of Pickett Elementary School in Lexington has received word that her school has been recognized as one of the 2013-2014 Title I Reward Schools. A Reward School is a Title I School that, based on recent student performance data, has been identified as being among the highest 10% of all Title I schools in the areas of most improved in student performance and/or highest performance of students for all subgroups assessed. Title I is the largest federal program for schools. It is aimed at assisting students who are at-risk academically based on the overall percentage of low-income children in attendance, generally based on those eligible for the free and reduced lunch program. Gina Spencer received her undergraduate degree in Elementary Education in is 2003 from High Point University. She earned her masters degree in Educational Leadership from High Point University in 2005. Also receiving the distinction of Title I Reward School for 2013-2014 is Montlieu Academy of Technology, a Guilford County School who has had a three-year iPad partnership with the School of Education. A recent High Point University graduate made headlines his first year of teaching by encouraging his students to make a difference in their community, just like he was encouraged to do at HPU. In the 2012-13 school year, Chris Terzigni and his fourth grade students at Archer Elementary in Greensboro started a project to finish the Boston Marathon for all the runners who weren’t able to Terzigni Thermometerfinish the race before the tragic explosions occurred. Terzigni is a graduate of HPU’s fifth-year education master’s program. 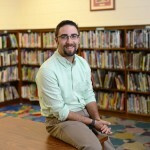 He graduated from HPU with his undergraduate degree in 2012, immediately began teaching and completed his master’s in elementary education at HPU in May 2013. Despite the busy school year and End of Grade exams approaching, Terzigni used the students’ interest as an opportunity for learning. The students used math to figure out how many miles they would have to walk or run to finish the race for the runners who weren’t able to cross the finish line. His students agreed to invite other classes and schools to help out. Terzigni then reached out to other local teachers who he met while studying at HPU. I made such amazing connections with people while I was at HPU; I knew exactly who to reach out to in order to make this happen.” Terzigni knew that service learning is more than just doing something; students also had to learn the meaning behind it. To promote the project, his fourth grade students created their own website; marketed the project through emails and power point presentations; researched the Boston Marathon and marathons in general; and compiled data to make sure they reached their goal by using spread sheets and graphs. “It was amazing to see how quickly they absorbed the information,” says Terzigni. 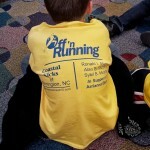 “They just learn skills and concepts faster when they are engaged in a project that they are interested in.” By the end of the year, the students completed more than enough miles to finish the marathon for all of the runners. To celebrate, a Greensboro man who had to stop running at the marathon came to class and thanked the students for their support. The school district also honored the class by presenting a special award for service; and the students were featured on five different news stations. “They were rock stars,” says Terzigni. “They couldn’t contain their excitement, but they were also practicing their speaking and listening skills.” To top it all off, Archer Elementary created a new position for Terzigni, a technology teacher. Next year he will teach grades K-5 computer and technology skills every week. 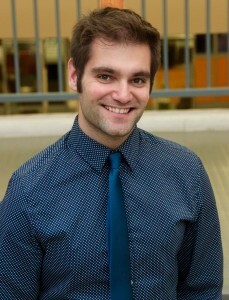 He’s also been named the new Service Learning Coordinator for the school. 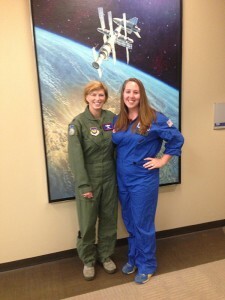 HIGH POINT, N.C., July 12, 2013 – High Point University education graduate Katie DeAngelo is spending her summer training current teachers through the Educator Academy Program at NASA’s Space Camp. As a teacher crew trainer, DeAngelo conducts professional development activities and guides teachers through various workshops designed to re-energize, excite and help teachers incorporate more math, science and technology across the curriculum. DeAngelo attended one of NASA’s workshops earlier this summer along with a group of HPU education graduate students. The NASA instructors were so impressed with DeAngelo that they offered her the job. DeAngelo will return to HPU in the fall as a graduate student in the Masters of Education, Elementary STEM program.